Newport, RI - - December 5, 2013 - - Z Blok sunscreen will provide free 2 oz. samples to The First Tee home office in St. Augustine, FL for all their 2014 national participant opportunities. Approximately 425 teenagers from across the country will receive donation from Z Blok, worth over $4,000. The mission of The First Tee is to impact the lives of young people by providing educational programs that build character, instill life-enhancing values and promote healthy choices through golf. To learn more about The First Tee, visit www.thefirsttee.org. Z Blok sunscreen is committed to provide consumers with products that contain high quality ingredients that provide broad-spectrum protection from both UVA and UVB rays. These products decrease the risk of skin cancer and early skin aging caused by the sun. 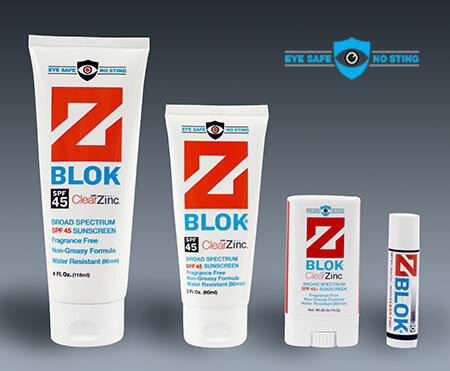 Z Blok products are also formulated to eliminate the problem of eye stinging and irritation, which has been shown to discourage young people in particular from using sunscreen. To learn more about Z Blok sunscreen visit www.zbloksun.com.